I dressed as Cotton Candy for a Carnival Themed Halloween Party this year. I sewed pillow stuffing to a dress and sprayed it pink with fabric spray. I even smelled like Cotton Candy by using a body spray I found at Walgreens. Cute idea. 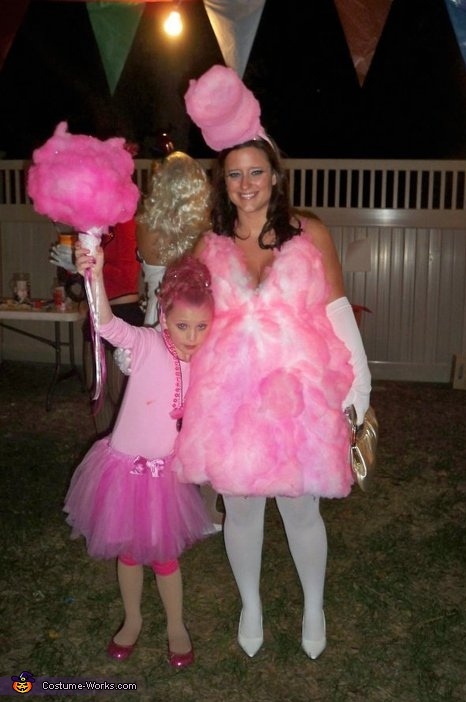 I was thinking of going as cotton candy this year. Looks great. That's also a great idea to grab body spray to zip it up a bit. Cool.